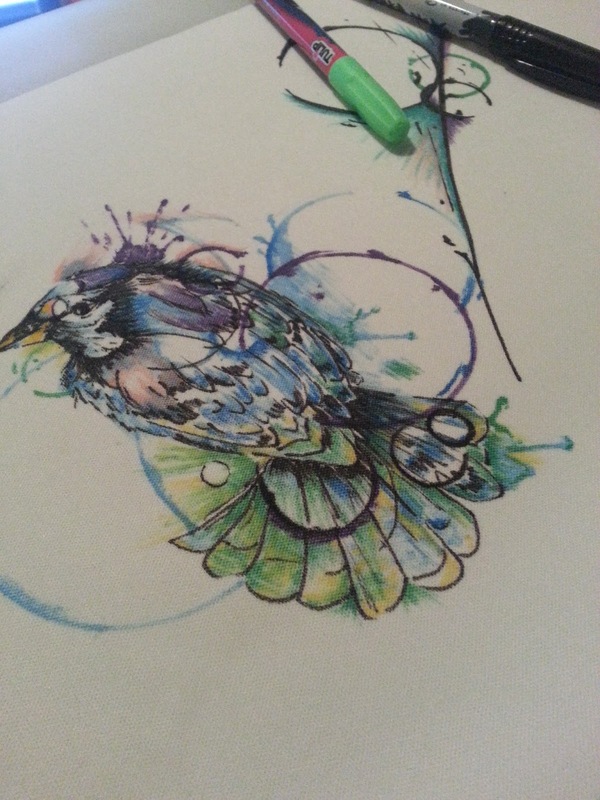 Doodle La: My Inked Bird. One of my favorite parts of making cloth diapers has always been trying to do unique ones. Trends in cloth diapering tend to catch on pretty quickly! Trends are cool, but I like unique, too. 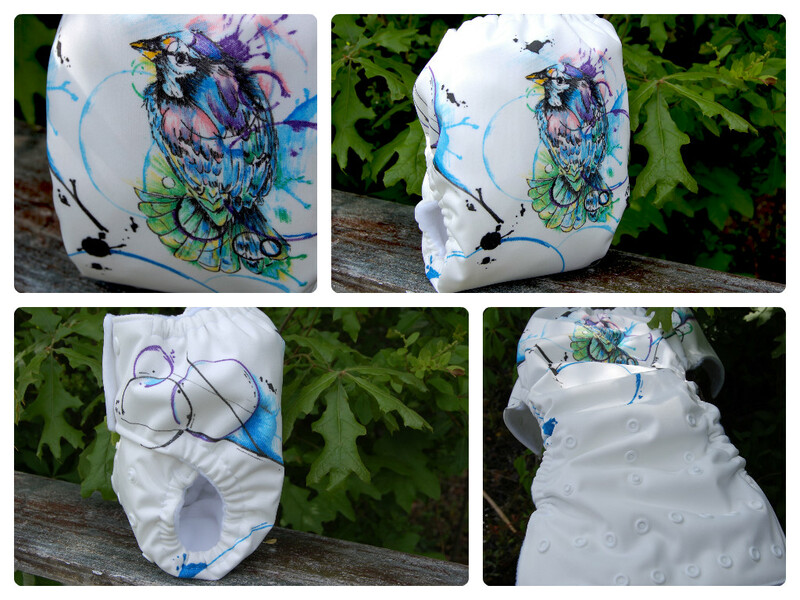 I've very much been wanting to expand on my arts lately, but still incorporate that into my cloth diapers. I kept thinking, "How on earth do I do this?" And then it struck me that I could just do what I did with the Giving Tree diaper and the Wild Things diapers...but using my own art. 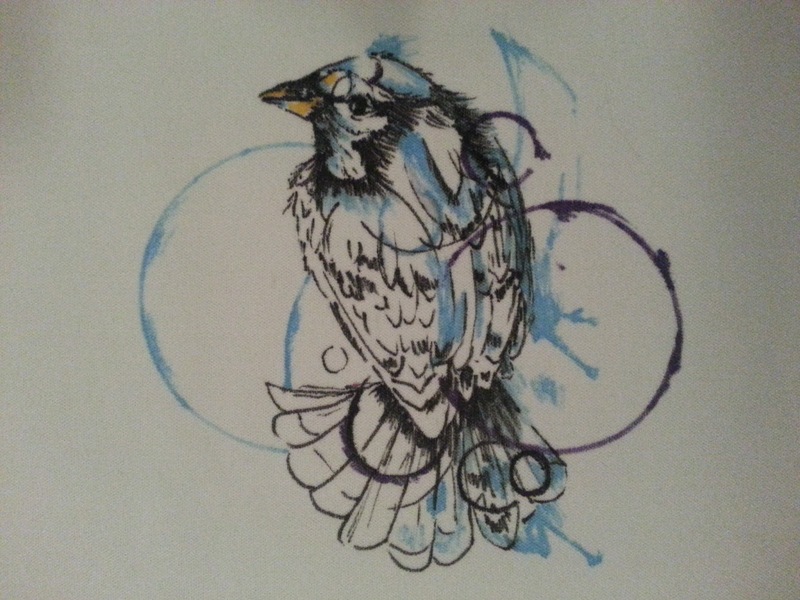 So the inspiration for this illustration was an amazing tattoo I found of a bird. I loved the colors, the subject matter, and the look of "imperfection". (Wasn't I just talking about being OCD?) It was perfectly "imperfect". I took what I saw and added a little bit more to it. 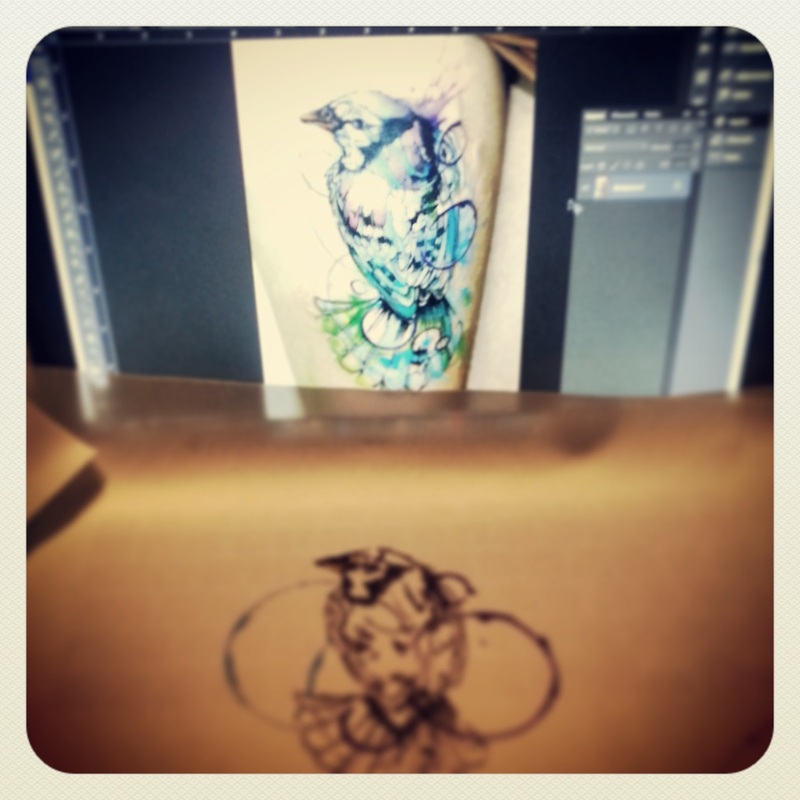 Please forgive the terrible phone pictures. I was taking pictures along the way to text to my husband. He's my cheerleader. I'm so happy with the finished product. It was such a fulfilling piece. And boy....some little one is going to have a fabulous fluffy bottom. I need to do more of this! This diaper is going to be auctioned off. Bidding will start May 1st at 8am EST on my Facebook page! I love it! 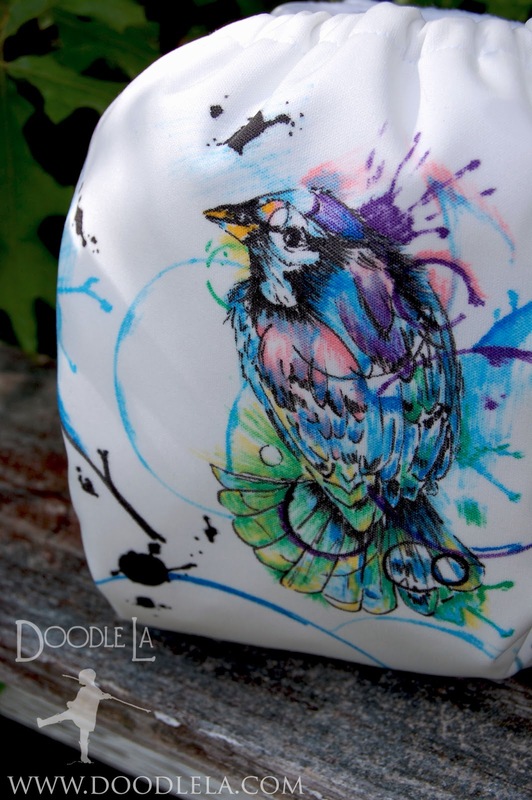 that is the prettiest bird picture ever.... What a a lucky diaper!! I would absolutely love to win this diaper. Awesomely beautiful work! !